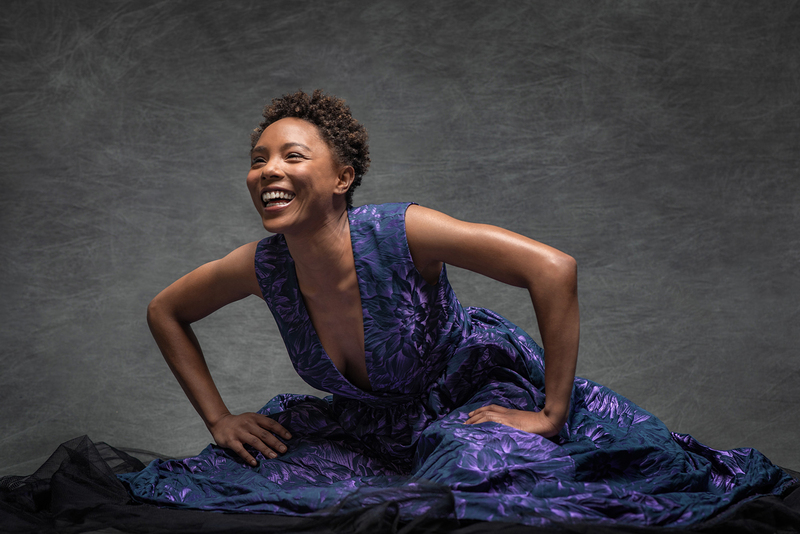 "It's more important how you see things, than how you shoot them"
Tyler embarked on a bold co-creation with the dancers of the Aspen Santa Fe Ballet, capturing images of grace, power and beauty. Using the Canon PRO-4000 and PRO-1000 printers, Tyler and his team crafted stunning large-format prints in color and black-and-white for a gallery show. 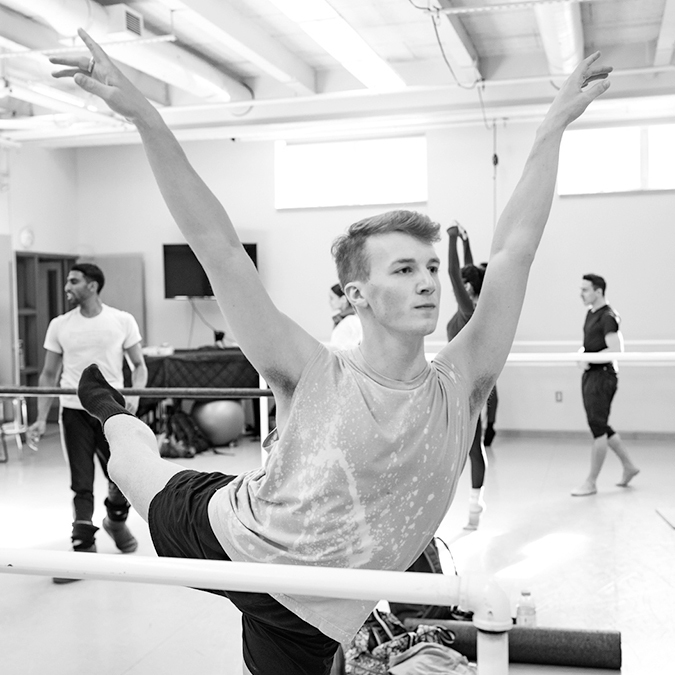 Click the video below to watch the synergy that unfolds as Tyler pairs his talents with those of the professional dancers! 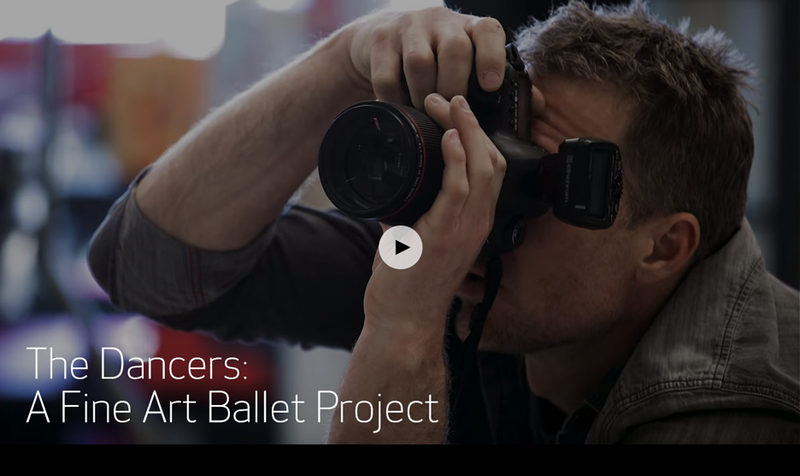 Canon: You're known so much for your outdoor and adventure work... what led you to photograph ballet? Tyler Stableford: I was really excited to try something new! And not just to “try,” but to really sink my teeth into a new discipline, and to master fine-art studio imagery. 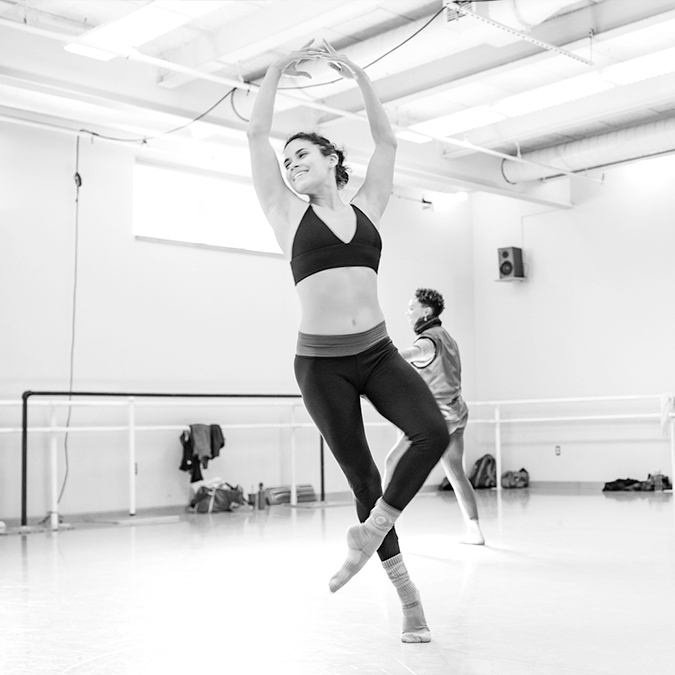 The ballet project gave me the opportunity to study, to practice, and refine my skills. Ten years ago I studied with the fine-art photographer Greg Gorman and the print master Mac Holbert, and through them I gained a greater understanding of sculpting light, shadow and form. Over the years I have tried to marry fine-art lighting techniques in my outdoor and adventure photo shoots. And so, while I have not done a traditional studio shoot until now, I have been studying and working towards something of this nature for a long time. But really, the ballet shoot was my first full-fledged studio project. Also, one of the most attractive elements of the project is the powerful combination of athleticism and grace. 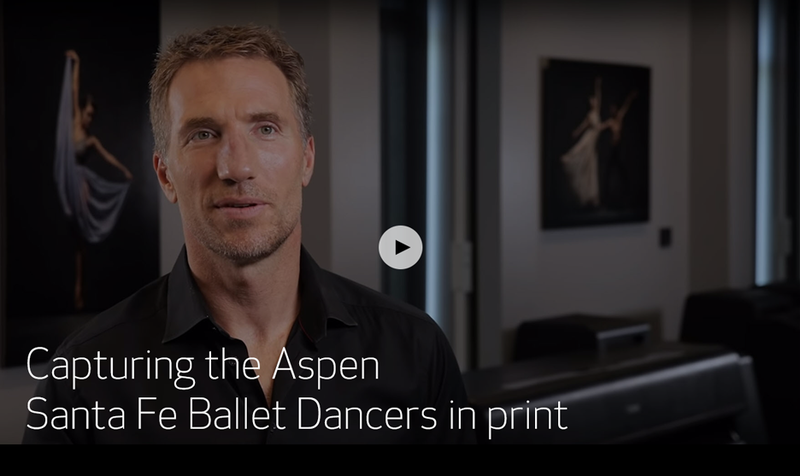 The Aspen Santa Fe Ballet dancers are truly world-class athletes as well as performance artists. I wanted to capture the essence of their athleticism as well as their incredible skill, in a single image. Even when I am shooting outdoor assignments, I am always captivated and propelled by lighting opportunities. I love working with challenging lighting outdoors. What surprised me is that, in some ways, working indoors in the studio was every bit as challenging, or even more challenging, than using professional lighting outside! Everything is under a microscope in a studio shoot; there is really no excuse for having anything less than impeccable lighting. And so my team and I went to painstaking lengths to test lighting setups and create just the right balance of light and shadow. 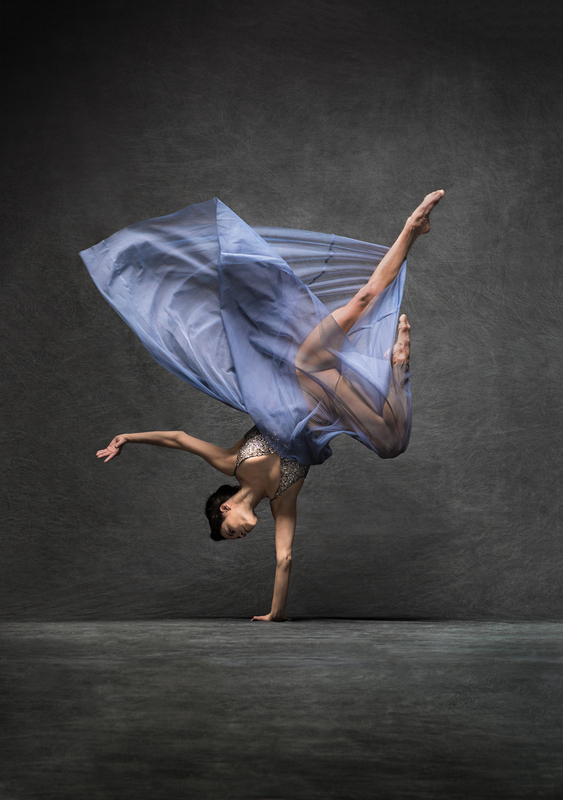 Canon: Is this the first time you've taken on a project like professional dance imagery? If not, what were some of your earlier experiences like? 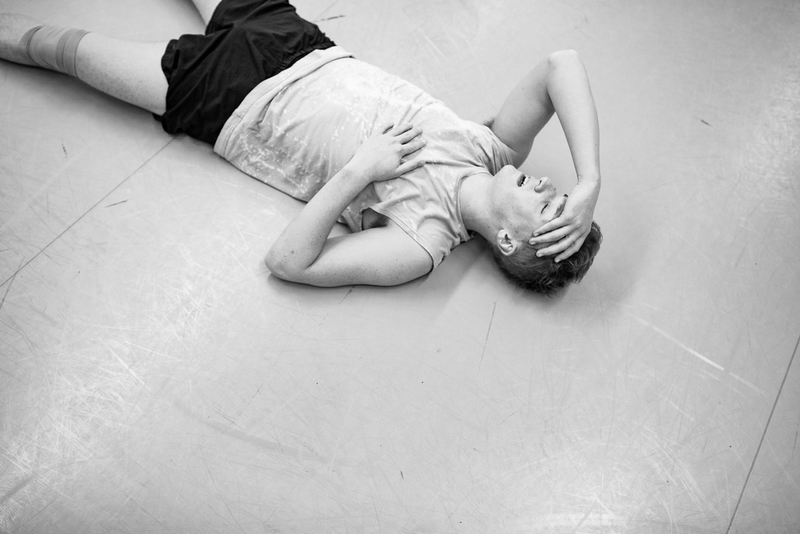 Tyler: This is certainly the first time I have undertaken a project with dancers. However, over the years I have been shooting personal projects with indoor and outdoor athletes, including CrossFit competitors, professional climbers, competitive cyclists, motocross riders, all on location. This ballet project was different in the sense that I was constructing the studio set in a controlled location. Canon: Did you have an existing relationship with this dance group, or did you first reach out to them for this project? 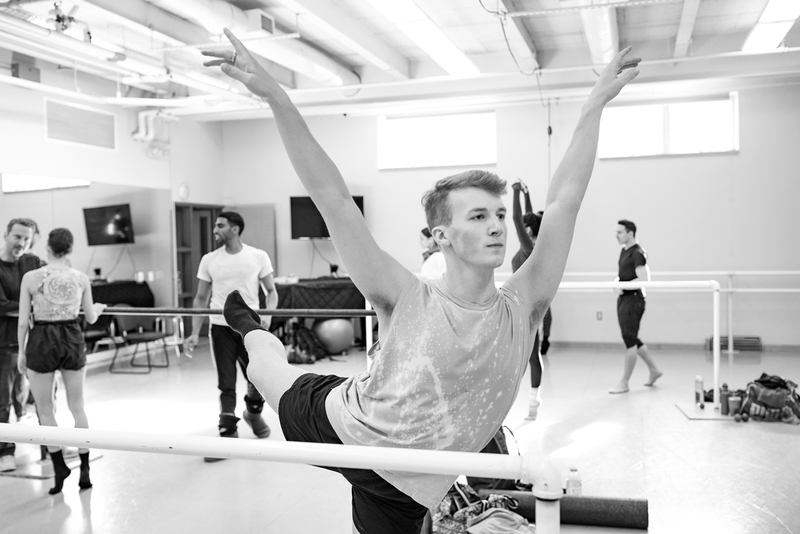 Tyler: I have been watching and admiring the Aspen Santa Fe Ballet performances over the last 20 years. However I had never met anyone from the dance company until this winter. So, no, I did not have an existing relationship with the dance company. I started with cold emails and phone calls to the marketing director and the artistic directors. It was a lengthy process, taking several months. I learned only later that the dance company is very reluctant to allow photographers in, because they receive far more inquiries than they can approve. 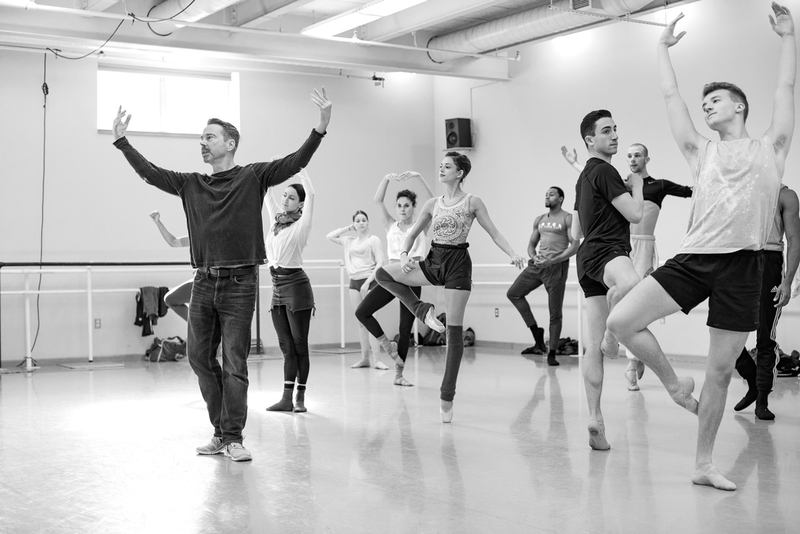 Also, the dancers need a great degree of privacy and personal space during the trainings — they need to be able to work hard, to fail, and to practice incessantly, within the supportive atmosphere of their peers. To pitch the dance company on my proposal, I created a treatment containing sample imagery and a written description of my vision for the project. 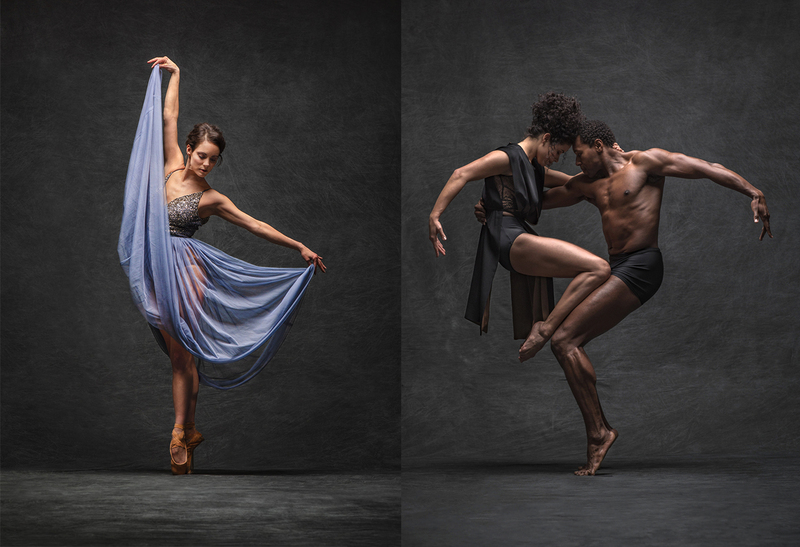 I also suggested ways in which we could partner with the dance company to use the images for their fundraising. I certainly wanted this project to be one where everybody wins: the dance company could gain some powerful new images for their promotions and fundraising; the dancers could get some artistic images of themselves for their portfolios; and I could have the opportunity to work on a creative fine-art project with world-class athletes. Canon: Were there any particular types of imagery you had in mind going into this project? 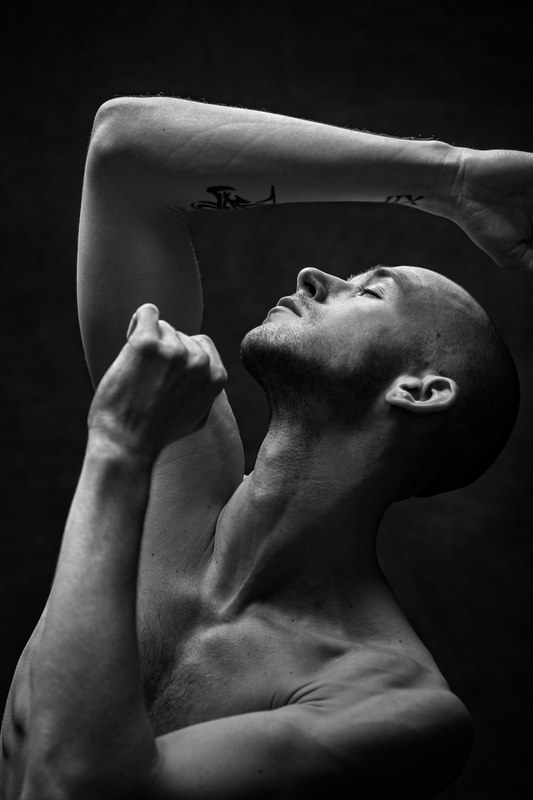 Tyler: Over the years I have been a huge fan of images from Herb Ritts, Bruce Weber, Greg Gorman and others who work in black-and-white with beautiful models and athletes. This style of imagery had been steadily percolating in my mind. Also, I love Edgar Degas’ paintings with dancers—he has an incredible way of conveying motion, light, form, and humanity. If I could study these craftsmen and master their language of imagery, I was on the right track. Canon: Did you carefully "script" and craft the imagery, down to the posing, or did you look to capture the movement of the dancers more candidly? Tyler: Great question, and this is really one of the most exciting components of the entire project for me. I started with a general vision of light, form, and framing that I think would work best for a beautiful gallery showing. However, I really have no technical knowledge of ballet or modern dance techniques. 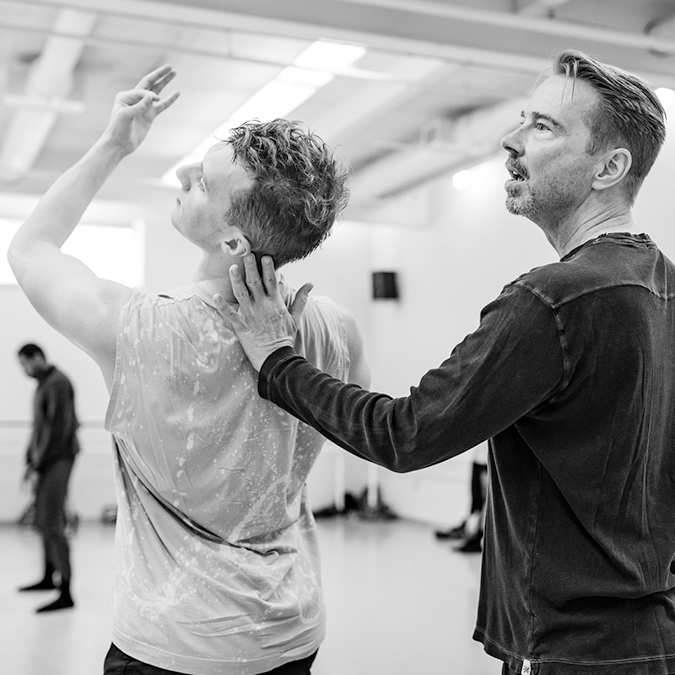 Nor did I necessarily want to study this too heavily, as the real goal was to have a powerful co-creation with the dancers—I wanted them to bring their artistry and athleticism. Together we could craft an image that would be far greater than my vision alone. So, when I met with the dancers in the months leading up to the studio shoot, I shared sample images with them and I told them generally what I was hoping to achieve. But I left room for them to add themselves personally into the equation. I told the dancers I wanted to capture something that was very special; a collection of images that would be a beautiful representation of their artistry. I mentioned that I was working with a world-class wardrobe stylist to source dramatic outfits, and I asked them to begin thinking about their best poses, etc. 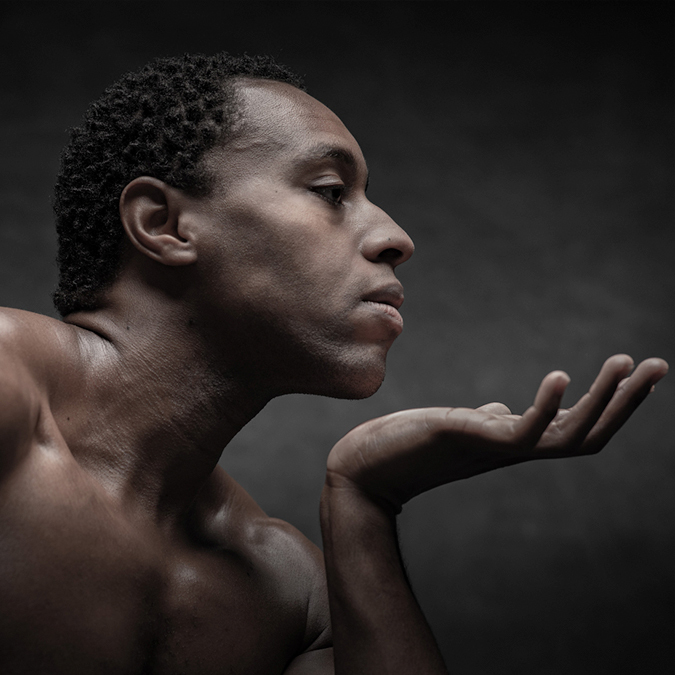 On the shoot day, my team and I had the lighting, lenses, and framing dialed in before they arrived—so that I could freely focus on collaborating with each dancer to find a range of poses and expressions that would be breathtaking. Canon: Was this exclusively a still-image project for you, or did you intend to mix still and video imagery? 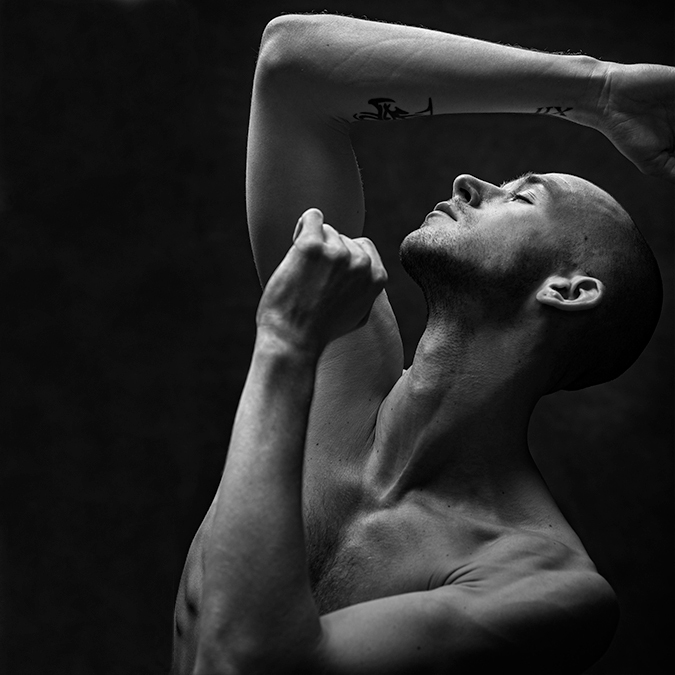 Tyler: This was primarily a stills project, as I have found myself moved more by still images of dancers than by video. Of course, this is not always the case with every subject. 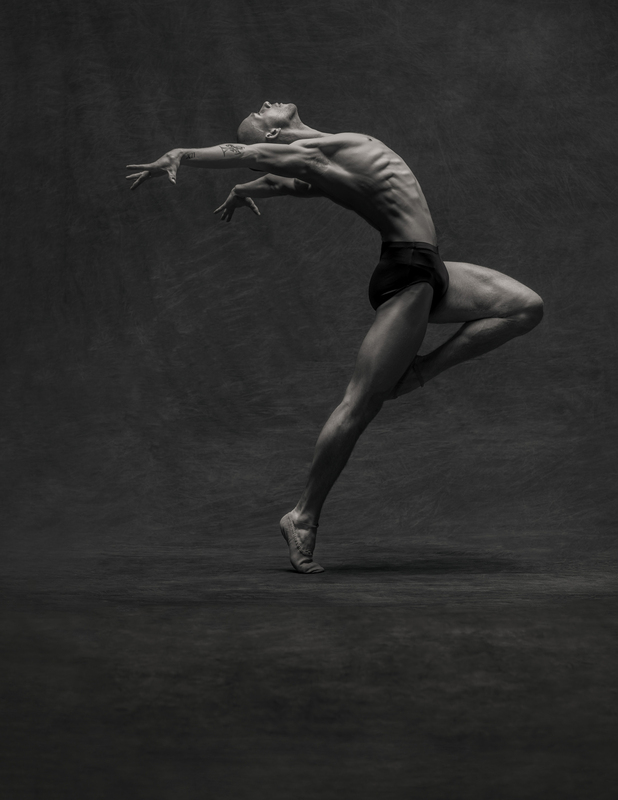 But because dance involves jumping, twisting, and arcing moves, a still image can capture the athlete at a pinnacle moment of his or her expression. This moment is held in time in a captivating way. I find myself coming back to the images so many times with wonder at these split-second moments. 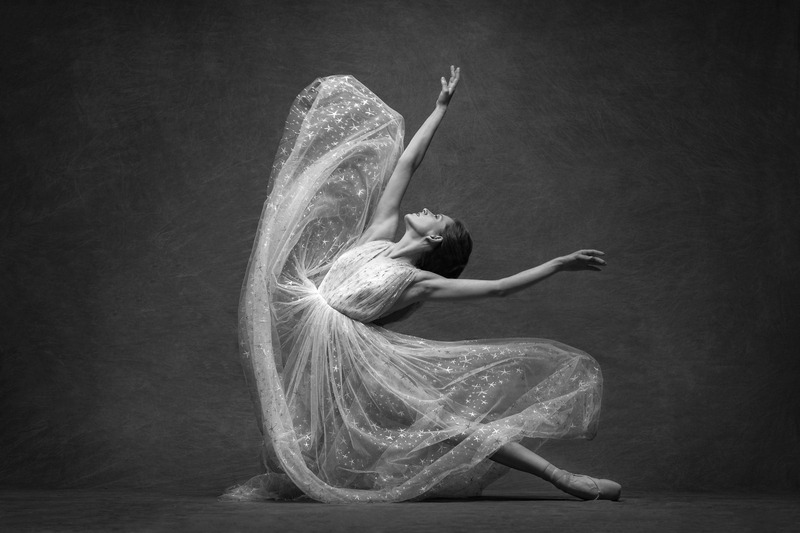 Canon: Describe the difference in creative and technical approach between the formal portraits versus the BTS images of the dancers. Tyler: The formal portrait shoot was an exercise in perfecting lighting, form, and composition. There is a sense of elevated grace and levity to every image. 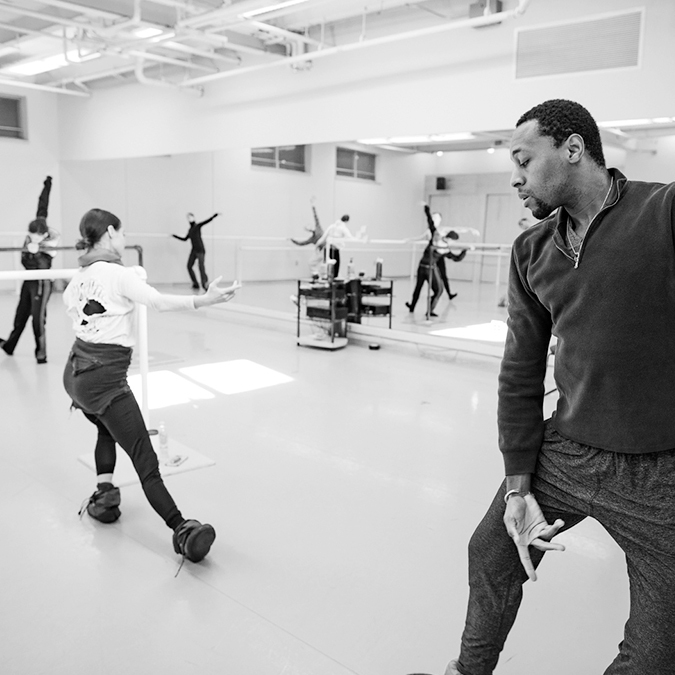 And the dancers and I spoke constantly through the process. 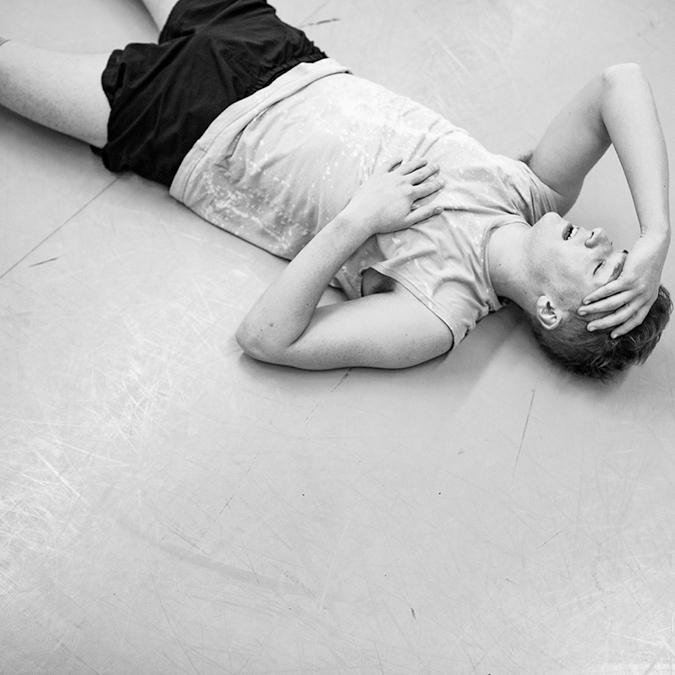 In contrast, the BTS images of the dancers training was really editorial in style—the goal was to capture intimate images of the dancers practicing, working themselves to exhaustion, working more, studying, socializing, etc. 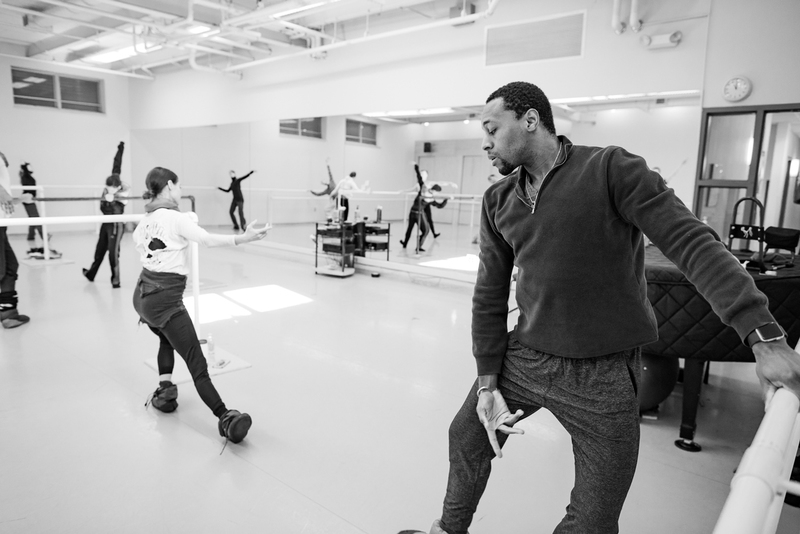 During these training shoots, I was working as an unobtrusive observer in their dance studio and on the Aspen theater stage. I never offered direction to them; my goal was to capture unique imagery with layers of storytelling, while trying not to get in anybody’s way! Canon: Which did you find more challenging to shoot, and why? Tyler: I certainly found the formal fine art photographs much more challenging to capture! The reason is that the fine art imagery, in my mind, had to have perfect lighting, perfect composition, and perfect poses. And none of us had practiced these poses together as a team before the shoot. Also, a huge factor in the studio shoot was that I could only fire one image every second or two, while we waited for the strobes to recycle. So, I had to try to capture the perfect moment, and I certainly didn’t always succeed! Similarly, the dancers were trying poses that were technically and athletically demanding, and they did not always achieve the perfect expression of each pose, and they tired over time. Additionally, we had only one day to do the fine-art studio shoot, no retakes! I had hired a team of three stylists to come in from out of town for wardrobe, hair styling, and makeup; and the dancers had held that Saturday free in their schedules. All told, I had less than an hour to work with each dancer in front of the camera. So, there was quite a bit of pressure to get it right on the shoot day. 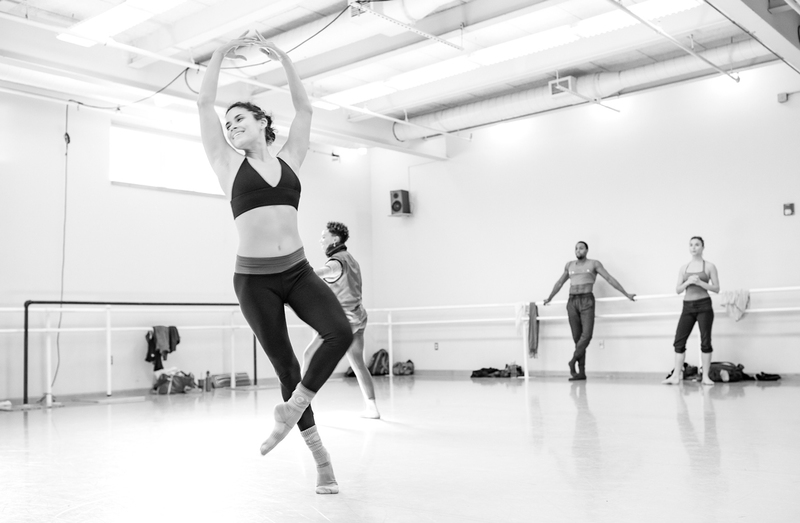 In contrast, the behind-the-scenes images of the dancers training was much easier in many ways, because I could fire away at 12 frames per second with the EOS-1D X Mark II camera, as I was not using any lighting. I could also shoot with the dancers and review the images that evening; and then return the next day to improve on any areas where I had fallen short. However, I will say that that the behind-the-scenes shooting was also challenging—mainly, trying to create truly compelling and interesting images, all while being unobtrusive to the dancers. I did not want to ask them to redo any moves, I really did not want to speak at all. 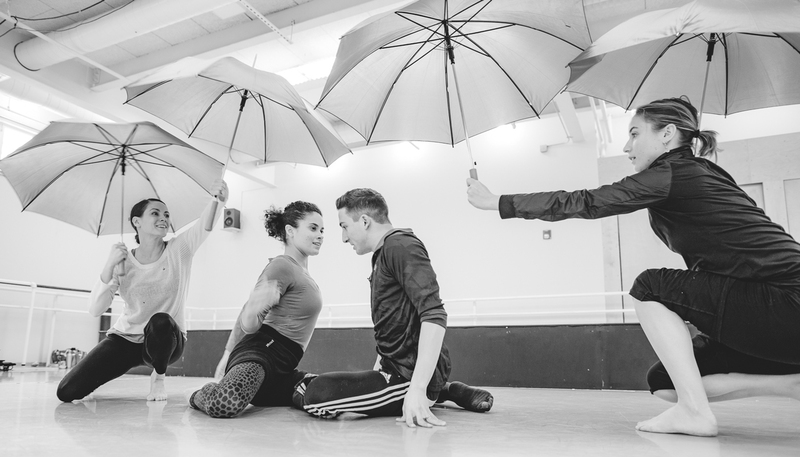 I wanted to be working intimately close with them, silently, while they worked with the artistic director to prepare for their upcoming performances. I spent a lot of time on these shoots lying on the ground, or waddling on my kneepads, trying to capture storytelling moments. Canon: What was your preferred setup for the BTS images -- in terms of lenses, bodies, lighting, etc.? Why? 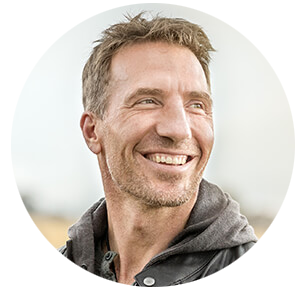 Tyler: For the behind-the-scenes images, my go-to kit was two EOS-1D X Mark II cameras, the EF 24-70mm f/2.8L II lens, and a fast prime lens like the EF 35mm f/1.4 L II or the EF 50mm f/1.2L lens. I used the 24-70mm lens for fast-moving scenes where I needed a zoom to quickly adapt, and I used the prime lens with my second camera to shoot at a shallow depth of field. I love when I can capture an image at f/2.0. The background goes into a painterly blur, and the viewer becomes drawn instantly to the subject in focus. I did not use Speedlites during the behind-the-scenes shooting, as it would have been too distracting to the dancers. I also like the sense of natural window light that is coming into the images. When I photographed the dancers at the Aspen theater stage doing their warm-ups and dress rehearsals, I was also able to use the stage lighting without the need for strobes. Canon: What were your typical camera settings? 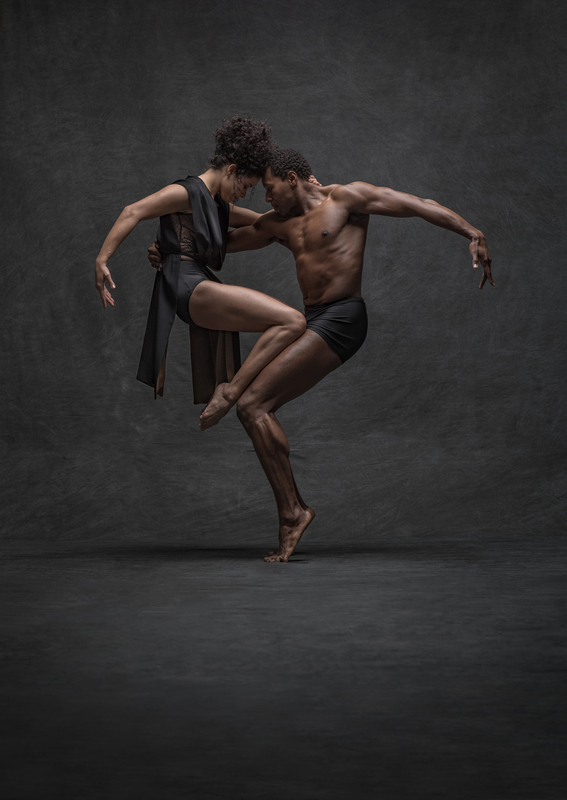 Tyler: For the studio shoot, I wanted to shoot around 1/1000th of a second to freeze the action, and I also wanted to shoot at f/5.6 or f/8.0 so that the dancers were in focus from head to toe, even if they had their arms and legs extended in various directions. I aimed to keep my ISO settings as low as possible, by using a powerful strobe. But because I was shooting at a high shutter speed, the light coming into the camera was reduced, so I had to shoot at around ISO 800. I would have liked to shoot at ISO 100 because I could have had a bit more dynamic range, and more ability to work with the images in post production to hold highlight and shadow details. Canon: Any thoughts on cameras and lenses that you worked with overall? Tyler: I worked with the EOS 5D Mark IV camera for the fine-art studio shoot because it had great detail, with 30.4 megapixels of resolution. I wanted this detail for printing in large format. (As a side note I tested the 5DS camera but couldn’t get the images to be free of motion blur, even at 1/1000th of a second shutter speeds.) However if I was to do the shoot again, I would work with the EOS-1D X Mark II camera because it has more dynamic range. 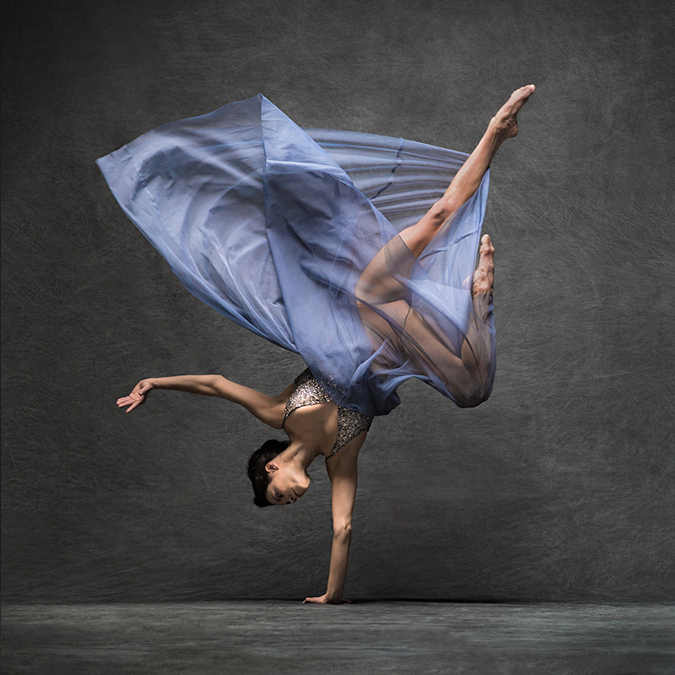 Even in the studio setting, I found that we had the occasional challenge with clipped highlights on dancers’ skin closer to the strobe, and pure black shadows at times near the ground. For lenses, I was thrilled with Canon's new EF 85mm f/1.4L lens. This lens is so crisp and clear, and when paired with the 5D Mark IV camera, we are really optimizing the resolution of the images. 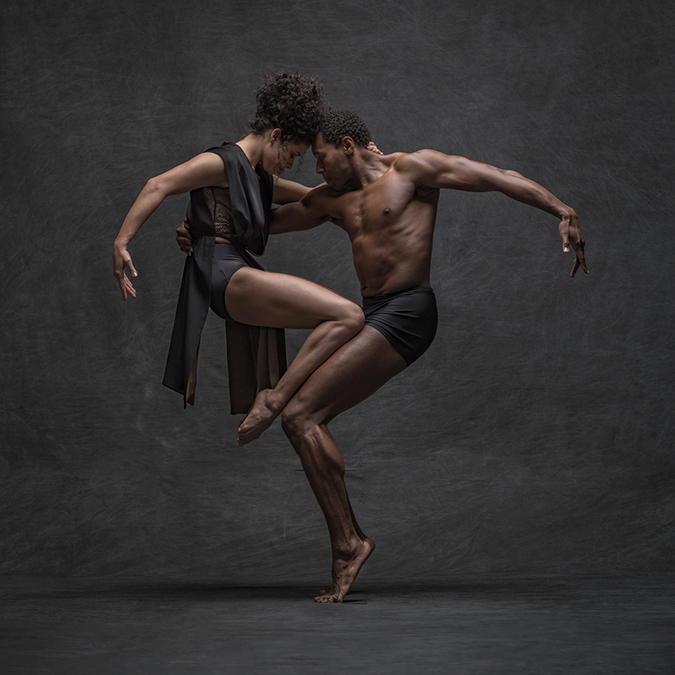 I shot the entire fine-art portion of the project with this lens, and I was fortunate to have a large studio space where I could shoot far enough away to frame the dancers and the entire backdrop. I also prefer an 85mm lens length versus say a 50mm lens, as the extra focal length makes for more flattering portraiture when working up closer to the dancers. I find a wider lens can sometimes elongate facial features. Canon: What general types of gear would you recommend for this kind of project? Tyler: In general I would recommend the EOS-1D X Mark II camera, and high-quality prime lenses, to maximize dynamic range and image clarity. Also, powerful strobes can be helpful so that you can shoot at a high f-stop and a lower ISO. Canon: The setting or stage area for some of these images appears huge. Where did you shoot these, and how were they lit? 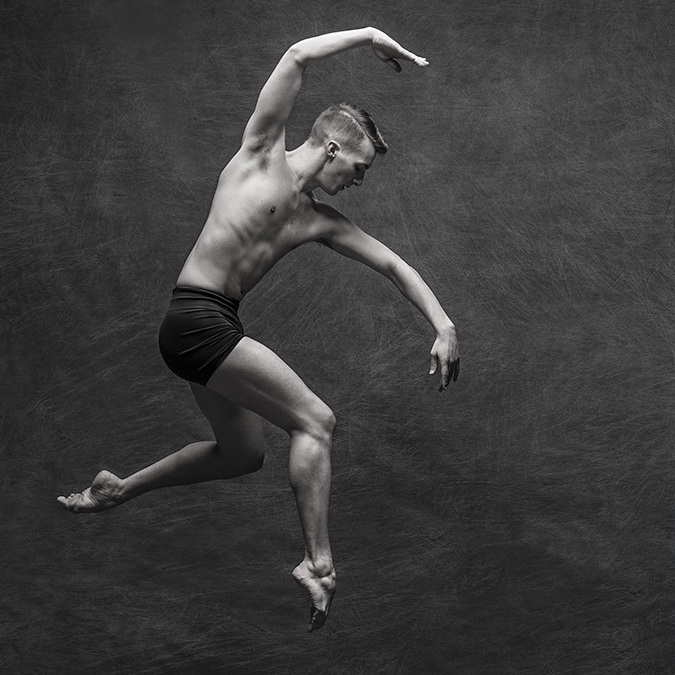 Tyler: I shot these images at the Colorado Mountain College gym space at their Aspen campus, just above the ballet training studios. For lighting, we used almost exclusively a single Elinchrom ELB 1200 battery-powered strobe along with the large Elinchrom Litemotiv Indirect Octa softbox. The light quality from this strobe and modifier are tremendous. Plus, the strobes can shoot at high speed sync, which allowed me to shoot at 1/1000th of a second and freeze the action of the dancers. I certainly considered adding additional strobes to the images, however as I studied various images online and in books, I fell in love with a single large overhead source. At times we would use an additional light on one side for a touch of fill, however that was a very rare case. We also used a fan to help blow the dancers’ hair and dresses in different directions, to create more sense of motion and flow. Canon: Any unexpected hurdles or difficulties that you encountered? Tyler: Yes, when we set up the backdrop, on location, I realized that it was not wide enough to cover the width that we needed. And if we rotated it, it was not tall enough. The backdrop was 10’ x 24’ but that simply was not enough. So we had to cut the muslin and tape it together to create just enough height and width to make it work. We then had to retouch that seam in Photoshop®. Also, one dancer had the stomach flu during our shoot day. She still came but she had a sick look instead of her usual radiant beauty; she was sweating in her eyeballs at times. Another dancer severely sprained her ankle just days before our shoot. She bravely participated, albeit with terrible bruising and pain; and she gracefully created beautiful poses for us. Canon: Did the project turn out as you expected - why, or why not? Tyler: Yes, the project really did turn out as expected, at least in terms of the images created. However, what was unexpected, and what is really resonating within me, are the powerful emotions created from collaborating with such talented artists and human beings. 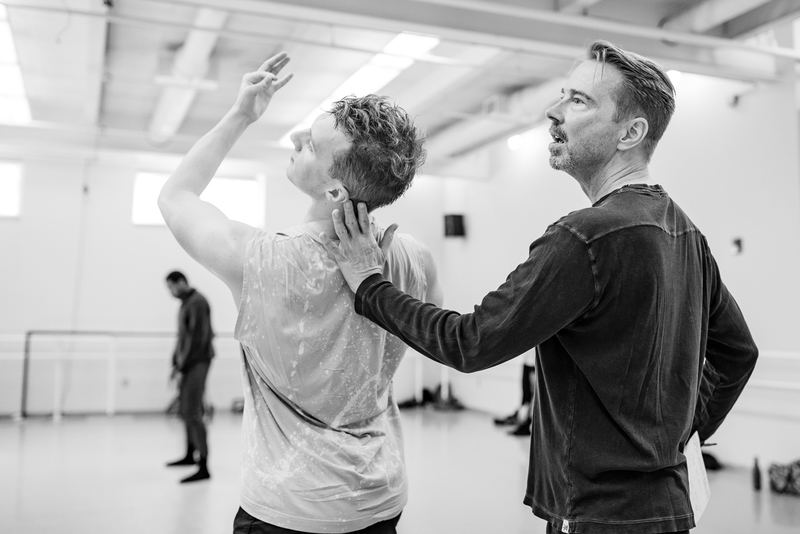 I was wowed by the time and generosity of the dancers, allowing me to come in and share in their craft. I feel so lucky to be a photographer and cinematographer — my job allows me to truly connect with, and to create memories with, special people like these dancers. Canon: What were the dancers’ reactions to the images? Tyler: I wanted to make the initial presentation to the dancers as special as possible. I rented tables and black linens to place the prints on, and set them up in their dance studio, so the dancers could walk through the collection of images. The dancers lined up outside the room and tried to sneak in while I was setting up the images, as they were so excited to see the photos—I had to shoo them out! When I shared the images, I brought the dancers into the room and told them that my real goal of the shoot was to capture the incredible beauty that I saw in each one of them; and to co-create something very special with them. The dancers were really thrilled with the images! They were bubbly as they walked through the collection of images, and pointed out images of each other that they liked. 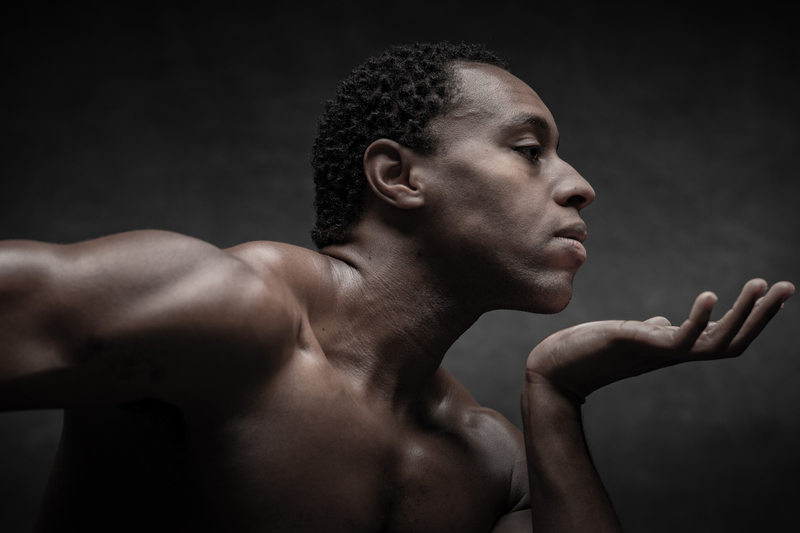 The artistic director said these images were a real treasure for the dancers. He mentioned as an aside that he danced professionally for 15 years, and had never received an image of himself like what the dancers were receiving today. Canon: What are your plans for this project? Tyler: This project really is a labor of love. 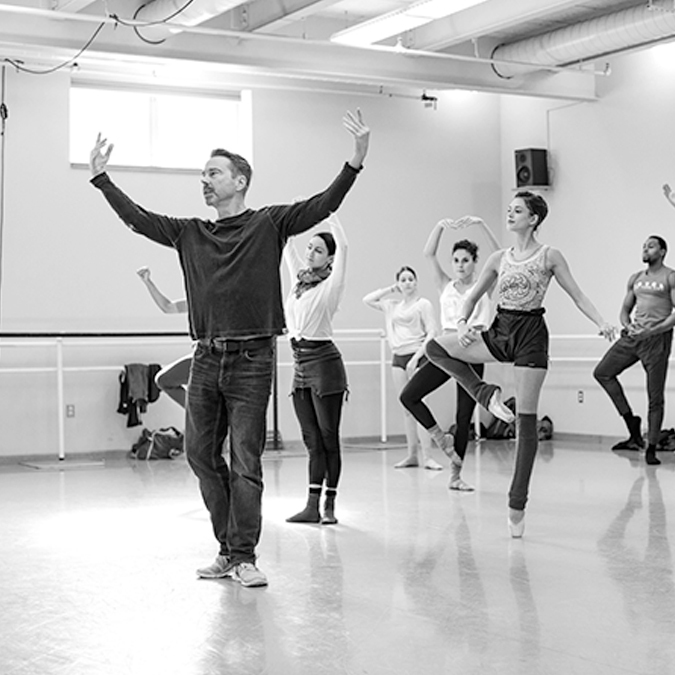 As such, my main goal has been to create the highest art possible with the dancers. That said, I do intend to share the images in any way I can. I hosted a gallery show at the Canon Experience Center in Costa Mesa, CA, that began July 30th 2018. 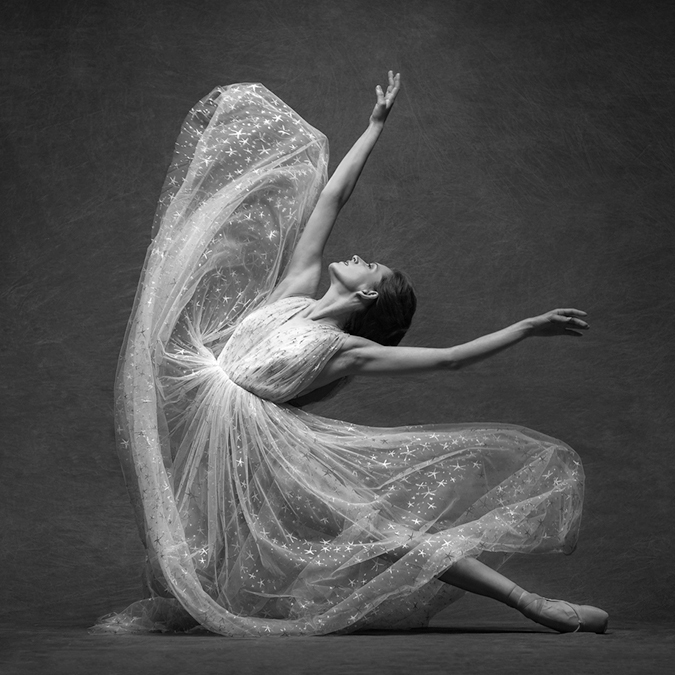 I am also talking with the ballet company about options for showcasing the images as a gallery fundraiser for the ballet in Aspen and/or Santa Fe. I also intend to publish these images in an Aspen magazine. Will the images go further than these outlets? I don’t know. For better or worse, my passion is not in marketing my work nor in event production—I am far more interested in shooting another interesting project than in salesmanship and event production … which doesn’t help maximize the reach of my images! 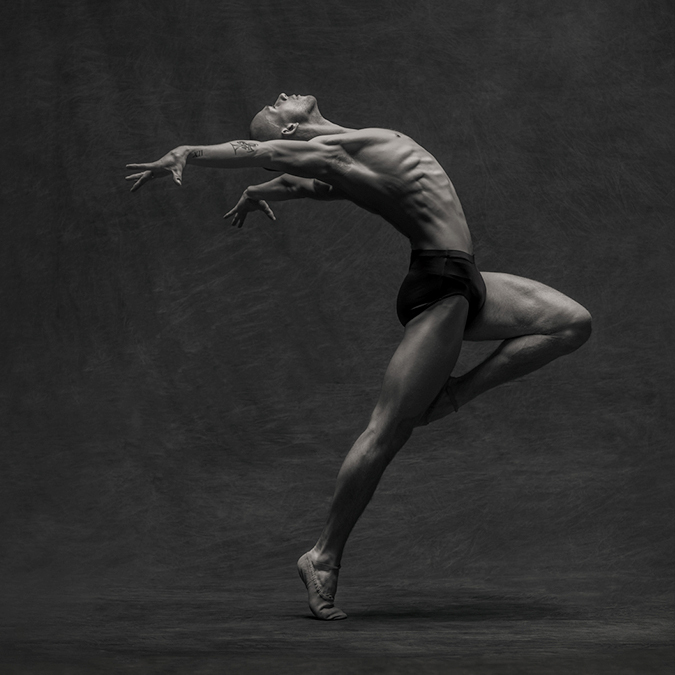 Canon: What tips would you offer experienced photographers for working with and photographing professional-level dancers? Tyler: This is a great question, and there are two points I’d like to share. First is that it can be hard to gain access to any professional athletes. I would suggest that any photographer wanting to do this should be as prepared as possible with a well-written proposal along with the images that clearly speak to the style you want to create. Secondly, I would suggest that you really put some time into researching all the images that you can find online and in print, to help build a large creative foundation in your mind. To me, photographing in a new style, like this project was for me, is similar in many ways to learning a new language. I find I need to constantly immerse myself in the style; to study the nuances of the lighting and the talent direction, before I am ready to fluently create imagery in a new way. I really want to thank the dancers, and the artistic director Tom Mossbrucker, for allowing me to photograph with their dance company. 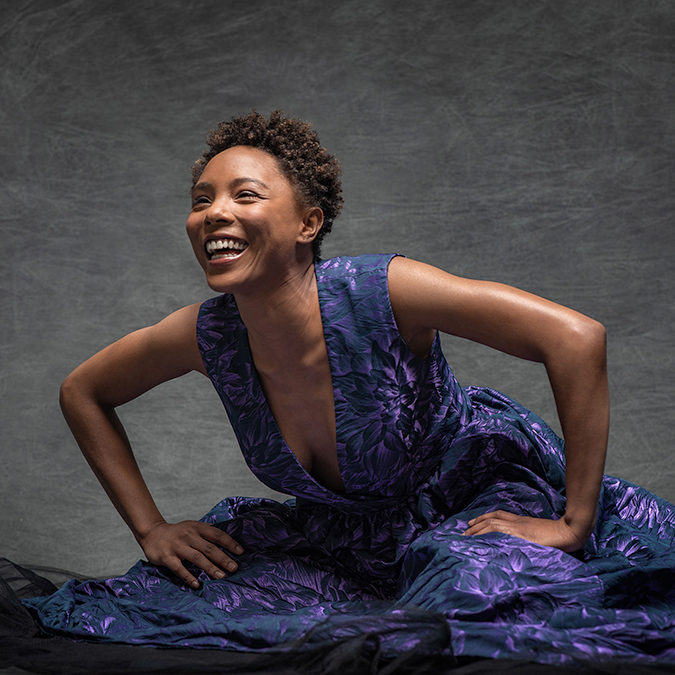 They were incredibly generous with their time—and their passion for the project is the reason the images shine!